Madaline (Maddie) Fennell brings extensive experience and passion to her work as an advocate for children and public education. She is the Executive Director of the Nebraska State Education Association and serves as Chair of the NNSTOY Board of Directors. 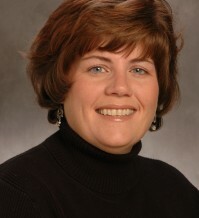 Fennell is the 2007 Nebraska State Teacher of the Year, a National Board Certified teacher, and a 27-year veteran of the classroom who also served as a mentor to her peers as a literary coach. Maddie spent three years on special assignment to the U.S. Department of Education as a Teacher Leader in Residence in the Office of the Secretary, and as a Teaching Ambassador Fellow. She also served as a Teacher Fellow for the National Education Association. She is currently serving as Secretary of the National Network of State Teachers of the Year and as a teacher representative on the Convergence Center for Policy Resolution Education Reimagined Project. Maddie has been in numerous education advocacy roles, including Chairing the NEA Commission on Effective Teachers and Teaching, presenting at the International Summit on the Teaching Profession and at Education Nation. She was honored in 2007 with the Carol Stowe Humanitarian Award from the National Education Association. Maddie earned her undergraduate degree from Creighton University, a Master of Science in Elementary Education and a Certificate in Urban Education from the University of Nebraska at Omaha, and an endorsement in assessment from the University of Nebraska at Lincoln.